Where's The Beef? And Wood Screws? If you are anything like me, you’re not all that crazy about grocery shopping, or any shopping for that matter. Most guys simply want to get in, get their stuff and get out. The biggest problem in this scenario is the “get their stuff” part. Most stores are so large these days that you practically get lost the moment you step in the front door, especially large box stores like Home Depot, Lowes and Costco. The other day, when I was looking for some disposable earplugs, I walked around for nearly ten minutes and not only didn’t find earplugs, but didn’t find a worker either. With corporate America’s cutbacks it’s harder and harder to find help in these monstrosities they call stores. 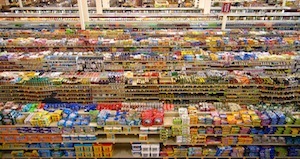 Even if you do find someone they often can’t remember where small specialty items are in their store. Aisle411 to the rescue!!! The developers of this iPhone app have made shopping in all sorts of stores more simple. The free app uses the GPS in your phone to locate stores near you and geo locate your location inside the store to make your shopping more expedient. The app is integrated into grocery store stocking systems and will direct you to the exact location of your lima beans or any other item. Simply type or speak the item you are looking for and the app will direct you to the correct location. 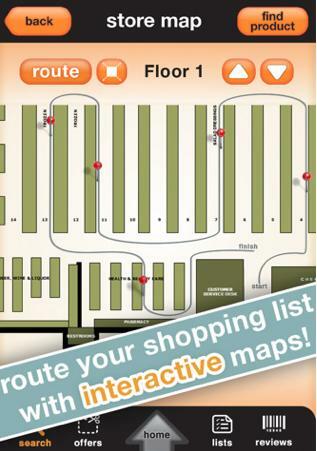 The app sports interactive maps for most stores and many are being added weekly. The app can’t tell you if a specific item is in stock quite yet, but don’t be surprised to see that down the road. Other features of note are detailed product information by scanning a bar code, various store and product coupons and the ability to make a shopping list on the fly. In my area here in Northern California there are only a small sample of stores such as Lowes, but considering the app was just recently released with limited areas such as San Francisco, Chicago, St. Louis and San Jose, it seems the developers are making some progress adding other cities. Some stores have their own apps that offer similar features but who wants to have, say 20 apps for 20 different stores? I’d rather just have a single app for all of them, not to mention I’m sure stores would rather send this development out of house and let the tech experts take care of the details. If this type of app and service takes off I will no longer spend more time looking for the materials I need for a project than completing the product itself and I may be more inclined to pick up those hard to find banana peppers for my wife on the way home from work.